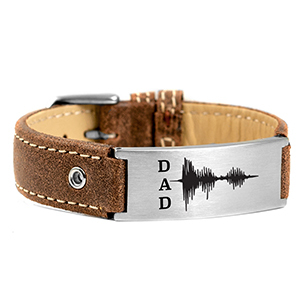 This is the perfect gift for Dad. The sound wave translates into the message, I Love You. Engrave back with a personalized message.